Set in a faraway village in the foothills of the Western Ghats, Tejaswi’s novella explores its eponymous protagonist, a great botanist with international backing, on a trail to find a pre-historic reptile – the flying lizard. Joining his adventure is the motley crew consisting of Mandanna, a good-for-nothing fellow who claimed to have spotted the lizard, Biryani Kariappa, an expert tree climber, Prabhakara, who handles the camera, Yenkta, the snake-catcher, and the mysterious narrator himself. Tejaswi masterfully paints a vivid picture of the setting and characters in this novel that can be enjoyed by all ages. The novel probes a variety of issues, from exploring the link between ecology and language to engaging in a quest to define our existences – does God exist? Who are we? What is our history? It is the engagement with these issues that makes the novel a must-read. 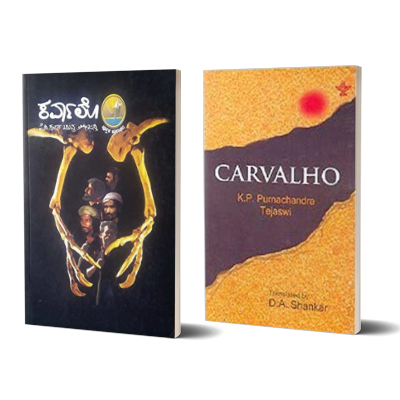 Poornachandra Tejaswi (1938-2007), an active thinker and change-maker, was a key figure in Kannada literature’s Navya movement. Tejaswi was recognised for his novel Chidambra Rahasya by the Sahitya Academy in 1987. His bibliography spans novels, short stories, poetry, and drama. He remains distinguished for his ability to not only entertain but also pursue intellectual thought in his works. He is remembered for his exploration of ontology and the metaphysical in his writing.